Simple shapes, perfect lines, and beautiful colors. This is the art of Jeffrey Leder. However, his art goes way beyond the words used to describe his creations above. Leder, born in the concrete jungle we like to call Manhattan, developed a more profound relationship with art from his very beginnings. Leder has always enjoyed sketching, particularly the look of pencil lines on textured paper. He is also interested in line delineating form and color painted on wood or canvases. His mind bursts in creativity and with the right canvas and paintbrush in hand, the strokes of his paintbrushes become something aesthetically pleasing to the eye. The creation of his art is almost a process of research. He uses his knowledge of art and asks questions and these questions and experimentations result in the designs of his beautiful works. When Leder is painting, time stops and he becomes fully engrossed in the process of painting. 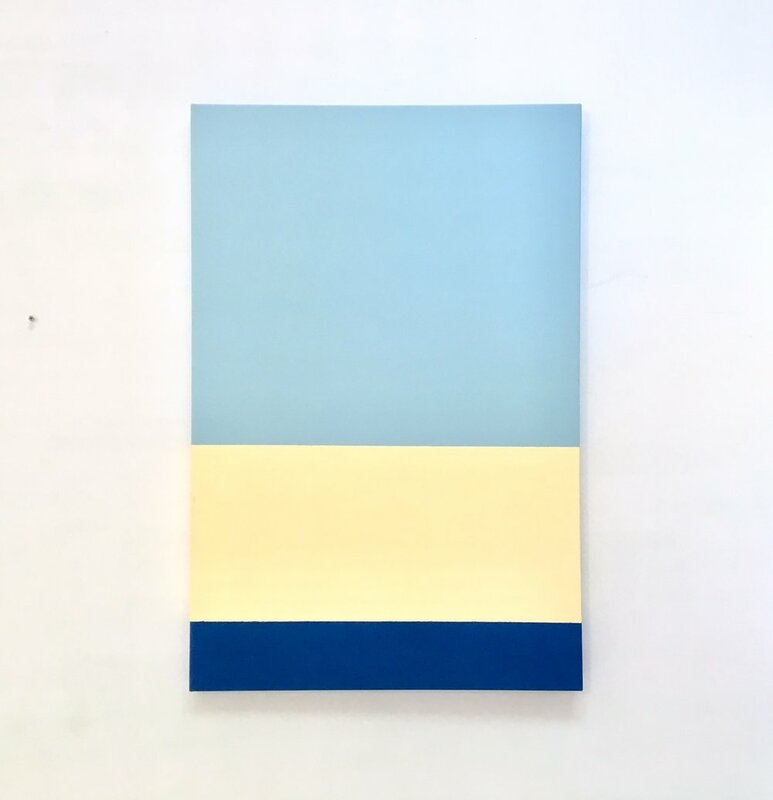 Leder is driven by interest in the relationship between form and color: how size, shapes, intensity of color affect each other in a given space; how colors and forms can be dissonance and harmony. For Leder, creating art is about pleasure; he explains, “the pleasure of coming close to solving and creating something beyond myself, beyond what I imagined. The result is artwork that is not of nature, but forms a nature of its own.” Now at age 70, Jeffrey Leder continues to create masterpieces in his mind and brings them to life (real life!). Come be inspired by his pieces in real life at our Art & Light Gallery right here in Greenville!